Bangkok’s most prestigious boulevard, Wireless Road, offers a unique combination of modern elements and historical presence. Located in the heart of the capital, the district is Bangkok’s answer to New York’s Fifth Avenue — boasting close proximity to the popular Lumphini Park and major shopping districts. 98 Wireless is located next to the residence of the United States Ambassador to Thailand. It represents the perfect living area, surrounded by spectacular views of green spaces, which provides some respite from the hustle and bustle of city living. Moreover, it is located within walking distance to the city’s most luxurious shopping centre, five-star hotels, and a new upscale holistic medical centre — attracting billionaires who desire to make the most of the metropolitan city. 98 Wireless is Bangkok’s most prestigious address. 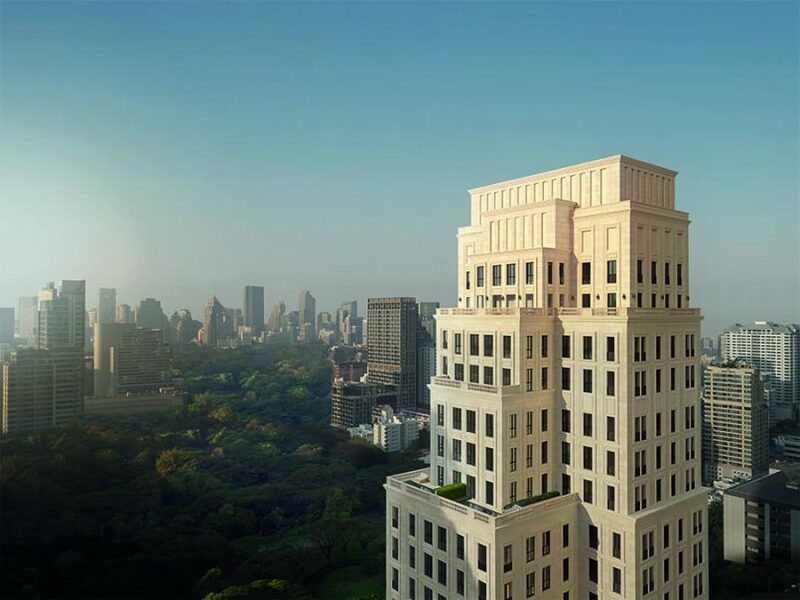 The latest (and most opulent) addition to Bangkok’s stylish street is 98 Wireless, an ultra-luxurious freehold condominium by Sansiri, Thailand’s leading full-service real estate developer. The 25-storey Beaux Arts tower will house 77 two- to three-bedroom residence, including two penthouses (553.25 square metres) and a super-penthouse (948 square metres) located on the building’s top two levels. 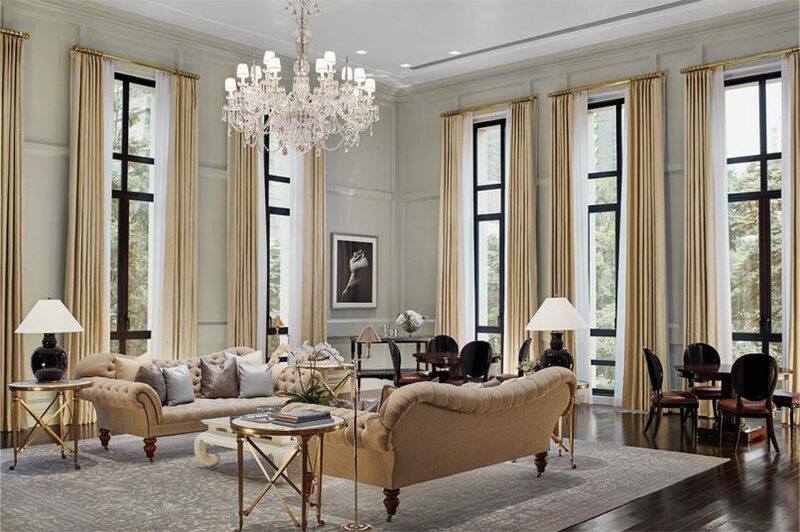 The handmade grand crystal chandelier was exclusively designed by Ralph Lauren Home. 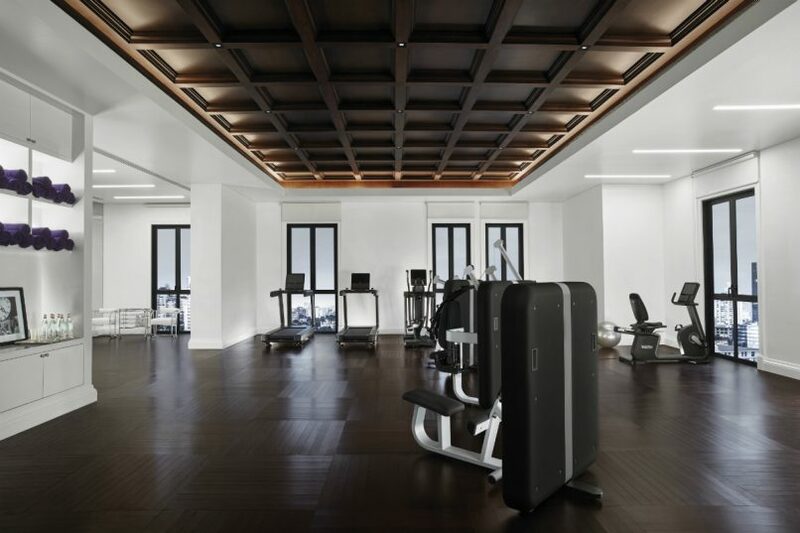 Led by award-winning architecture firm DWP, 98 Wireless boasts world-class design and exquisite craftsmanship. 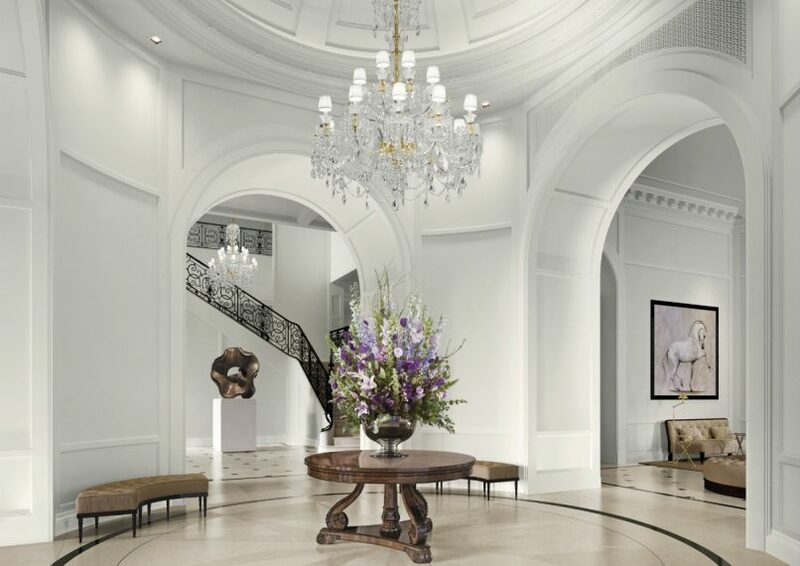 The luxury flagship condominium is exclusively styled in Ralph Lauren Home by New York interior designer Anne Carson, and features a handmade custom designed crystal chandelier lavishly displayed above the entrance hall and grand staircase lobby. 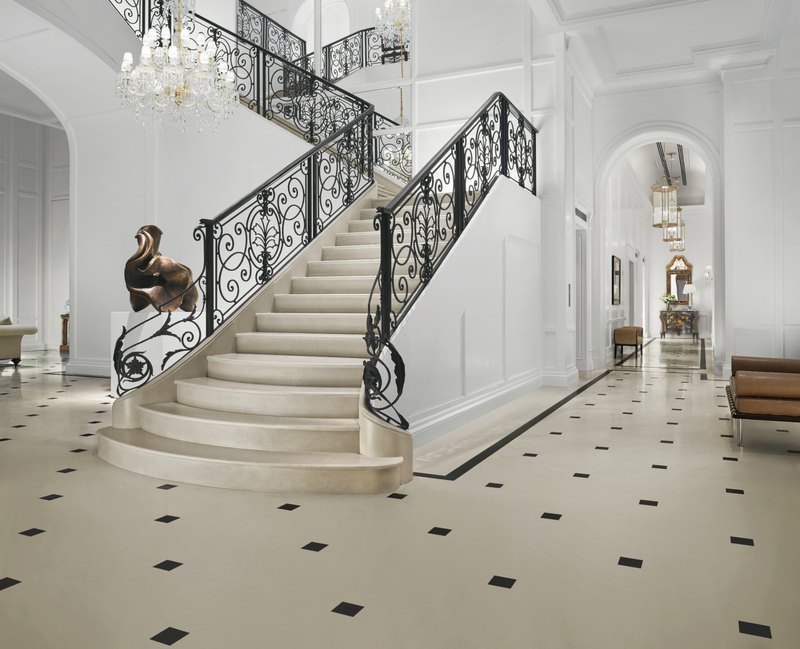 Interiors are styled in Ralph Lauren Home by New York interior designer Anne Carson. Evident throughout the building are the finest natural materials and finishes — including white-oak herringbone floors and imported rare mahogany crotch door panels, as well as façades made of Portuguese Moleanos Limestone. 98 Wireless is also the first residential building to receive the prestigious LEED certification from the United States Green Building Council, featuring beautiful landscape design and outdoor living spaces by T.R.O.P. Terrains + Open Space. Sophisticated interiors make up part of 98 Wireless’ appeal. The Sansiri team has also carefully curated world-renowned brands for 98 Wireless’ home furnishings and fittings — which include fully handcrafted brass handle and lock systems on the doors by Baldwin, SieMatic kitchenware with Gaggenau appliances, Sub-Zero built-in refrigerators and wine cabinets, sanitary ware by Kallista, and bathroom faucets by Lefroy Brooks. 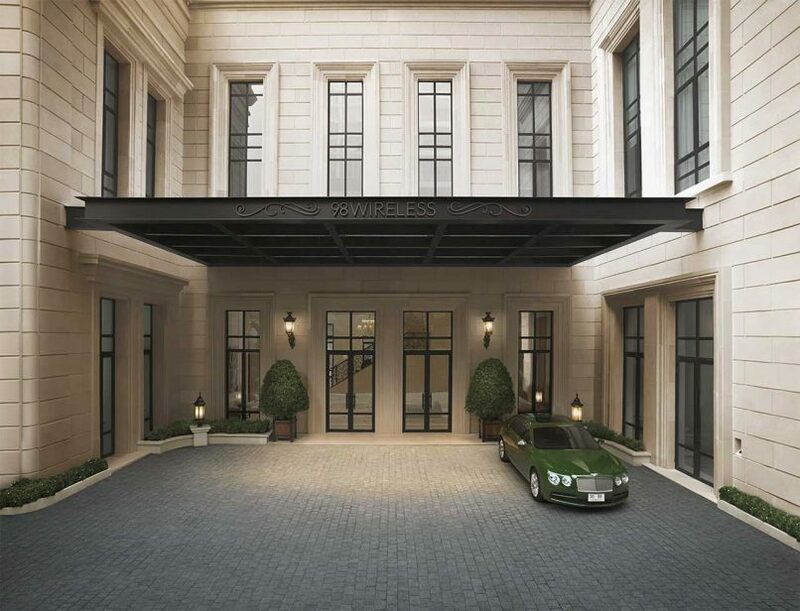 Residents enjoy royalty treatment with Bentley and Quintessentially concierge services. In line with 98 Wireless’s promise to offer truly superior living, residents are chauffeured in the property’s exclusive limousine — a brand-new Bentley. Sansiri has also engaged global lifestyle concierge service Quintessentially, which has long served members of the British royal family — ensuring royal treatment for all residents. The fitness studio is equipped by Technogym. 98 Wireless features three levels of exclusive amenities, including the swimming pool and jacuzzi, a spa and massage room, a steam room, a manicure room, a fitness studio equipped by Technogym, a multi-purpose exercise room, as well as a tea salon and elegant business lounge all decked out in Ralph Lauren Home furnishings. To ensure residents’ privacy, all residences are accessed by private lifts and include on-site parking in a private underground garage, with supercar parking and EV charger spaces. The property launched in March this year, with prices ranging from 70 to 250 million baht for units that span 119.75 to 948 square metres. Viewing is strictly by appointment.